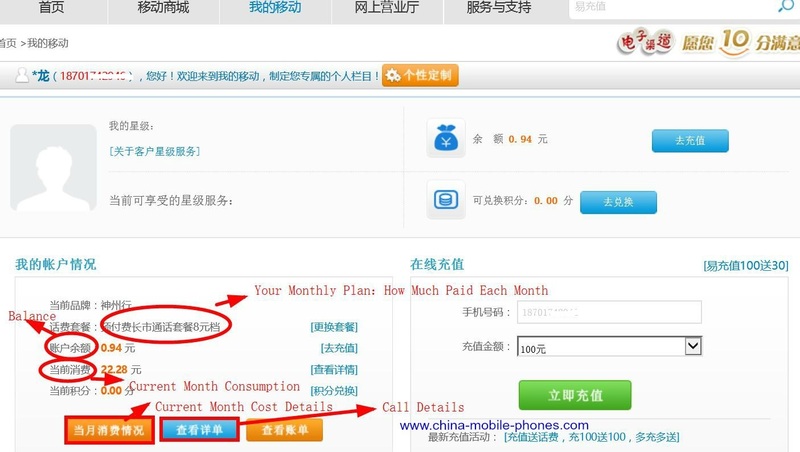 How to Check Shanghai China Mobile Account Online ? You can check your Shanghai China Mobile account at anytime, any location if a password is available. I will explain the password later in this article. Shanghai China Mobile official website is www.sh.10086.cn. Please find login place on the top: 登录. When your mouse is over word 登录 (login), there are two short rows appearing. The top one is Online Shopping, the second one is Online Service (account login). Please check the second one. When you purchased the SIM card at a China Mobile branch, you are asked to set up a password. It is a 6-digit. You can login to your account even you are in your home country by using the password. How about someone forgot the password ? If you are in China, you can use one-time-password shown below: you choose one-time-password and click 点击获取 on the right side. A text message with one-time- password will be sent to your phone in a minute. You can not use one-time-password method when you are in overseas if your number has no international roaming. From the following account overview, you can find your monthly plan cost (how much a minimum charge you need to pay every month), account balance and current month consumption. If you click current month cost details on the last line (in the beginning), you go to a new page with more usage details. Besides account balance already shown, you got monthly plan usage details including data usage. 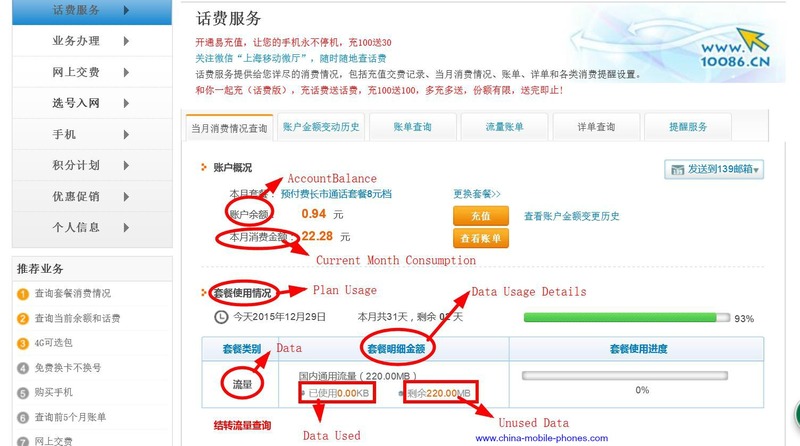 The data usage has a section of used data and remained data within a current month. If you have questions, please let us know.